It has been nearly 25 years since the discovery of the sunken Titanic at the bottom of the Atlantic. Since the rediscovery of the Titanic wreck, new pictures have been take and the goal of using acoustic imaging, sonar, and 3-D video to virtually preserve the vessel is currently underway. It is estimated that within the next 10 years that the Titanic will collapse onto the ocean floor. 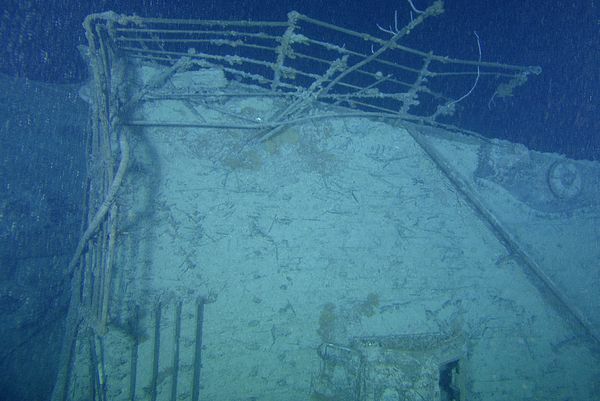 The quest to preserve the Titanic in its current state is in response to deterioration of the vessel itself and the need for the ship to be remembered. Due to recent hurricane activity, the expedition crew has been docked in St. John’s in Newfoundland about 350 miles from the Titanic’s resting place. The crew is eager to get back to work in mapping the Titanic. 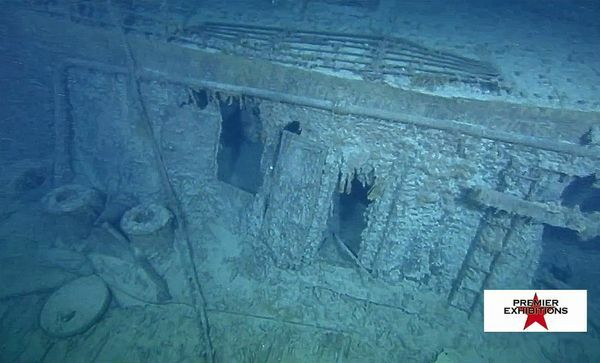 The company RMS Titanic Inc. is spearheading the campaign to document the ship and has organized with the expedition group Woods Hole Oceanographic Institution. Here are some Titanic pictures that mark the current Titanic anniversary. 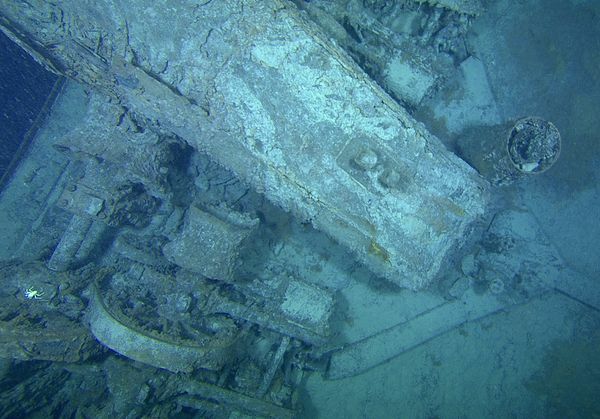 Also expect the expedition to take more pictures of the Titanic wreck in order to celebrate the upcoming Titanic 100th anniversary. Titanic Bow – The bow of the Titanic full of rust icicles. Just one example of how the ship is succombing to the harsh ocean climate. The expedition will look to preserve the current shape of the Titanic wreck using the latest technology. The Well deck of the Titanic which was once a place for third class passengers of the Titanic. Pictures taken since then show a wreck beset by metal-eating life-forms, powerful currents, and possibly even human negligence, suggesting Titanic could be vanishing for good, scientists say. What is said to be the clearest picture ever taken of the Titanic wreck, you can see the crane of the vessel being plagued by rusticles. These form due to metal eating bacteria that form independent colonies on the exterior and interior of the ship. 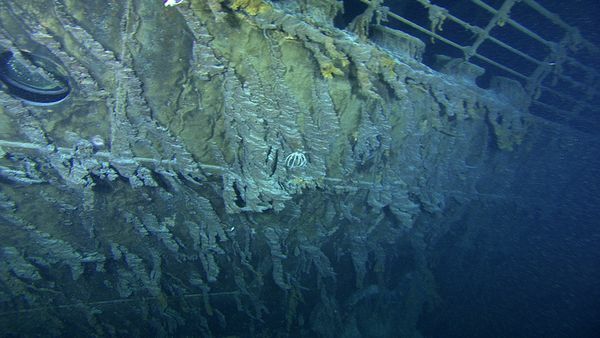 By 1996 there were some 650 tons (dry weight) of rusticles on the outside of Titanic’s bow section alone (picture), according to estimates by microbiologist Roy Cullimore, a microbiologist and veteran Titanic explorer. 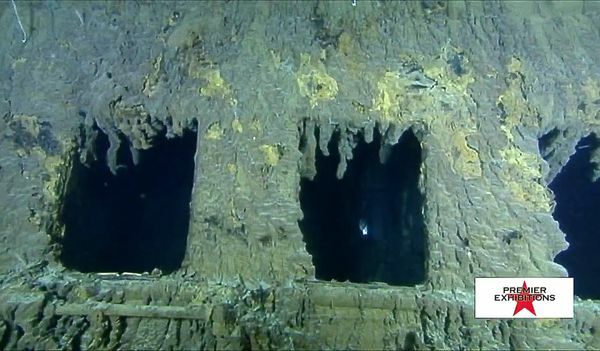 Since then rusticles have continued to grow both inside and outside the wreck. Porthole on the bow of the Titanic. Many different people have opinions on exactly how long the Titanic wreck will remain intact. Some scientists believe that it will be as little as a few years, while others believe that it could be as many as a hundred. The mapping of the Titanic is designed to capture the information no matter when the ship decides to collapse. Deck wall of the Titanic where first class passengers used to stroll and be protected from the elements. Scientists believe that the reason the Titanic is sinking stems from human negligence. 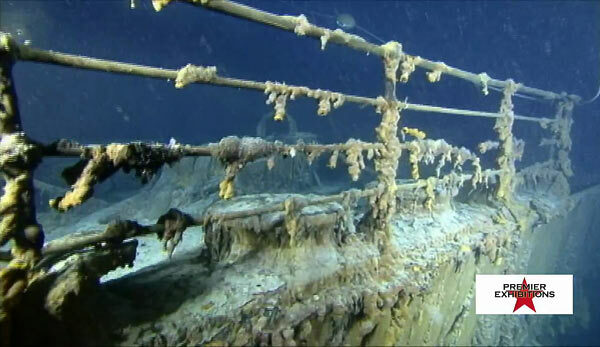 Repeated expeditions and Hollywood has turned the wreck into a bigger wreck according to Dr. Robert Ballard, initial discoverer of the Titanic shipwreck. 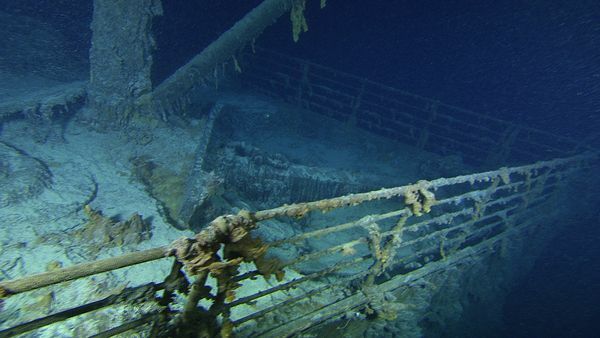 Twisted and broken Titanic railing on the deck with the crew quarters directly underneath. The next part of the expedition will involve scientists using metal rails to carefully examine each part of the ship. 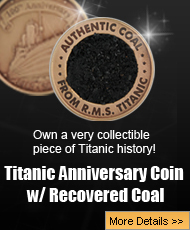 This will give the scientists a better idea of exactly how long the Titanic will remain intact. The purpose of this close examination will be to measure the exact levels of corrosion on the Titanic. Titanic‘s forward mast—whose base is shown at center and leaning toward the upper left in late August—toppled backward long ago and now rests on the ship’s bridge. Rusticles may infest the interior of the mast, which might completely collapse in the next year or two, speculated Cullimore, founder of Regina, Canada-based Droycon Bioconcepts, Inc., a biotechnology company. Already the foremast is a symbol of Titanic’s inevitable decline. 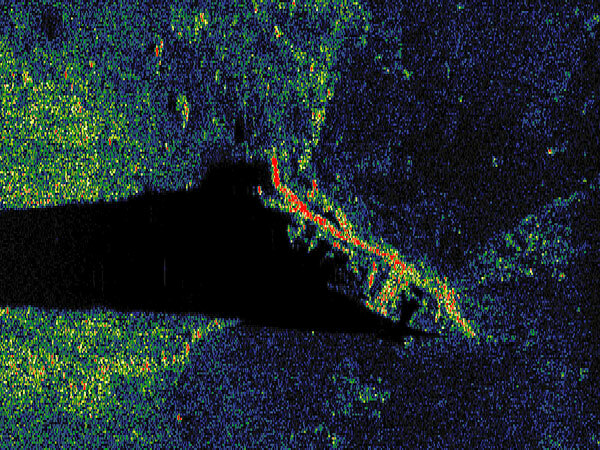 Titanic’s bow stands in stark relief against the North Atlantic seafloor in a sonar image made by back-and-forth surveys of the site by Expedition Titanic in late August. I am totally amazed by the Titanic’s sinking..because of one man’s ego to make the ship go faster. I try putting myself on that fateful day…so scary…yet so many were brave. I cannot seem to get enough infomation. Thanks for putting this on the Internet. So many things went wrong one hundred years ago, it’s a wonder anyone survived at all. Previous post: When Did the Last Titanic Survivor Die?